There are many different styles of kitchen cabinets. 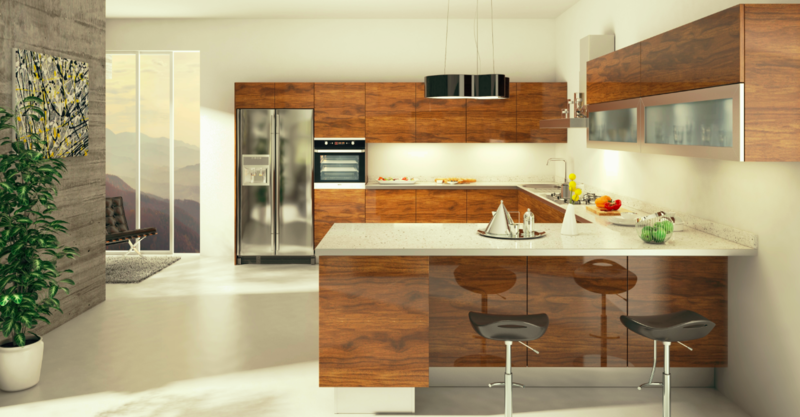 Contemporary kitchen cabinets are modern and add a stylish touch to the kitchen. But before you start changing the design, consult with a professional company. It is important to have coordination of style and colors with the rest of your house; otherwise, it might look out of place. A professional designer does more than take room measurements and install the cabinets. They will also help with removing and disposing of the existing cabinets and cleaning up the area once the work has been completed. You can opt for modular designs or custom-made ones. You can choose ones that are made of wood with glass shutters or even opt for sturdier metal ones. Irrespective of the material you have chosen, the installer will help you with understanding the layout. One advantage in letting professional designers look at your kitchen is that they’ve been doing this for years. You may have been inspired by a DIY home makeover television show and just marveled at the results. But it’s highly likely that professionals have assisted the people in most of these reality TV shows while the cameras are not running. Not everything goes as smooth as they portray them to be when a TV show is concerned especially when some construction and remodeling work is done. View different styles and ideas. You may be tempted to buy all of those power tools and all of that equipment and fancy yourself to be an adept handyman. But why go through all the trouble when you can just sit back and relax while the pros do it? Professional designers will draw the Kitchen layout with your preferences and movement habits in mind, and you will also be given design proofs before the final work is carried out.